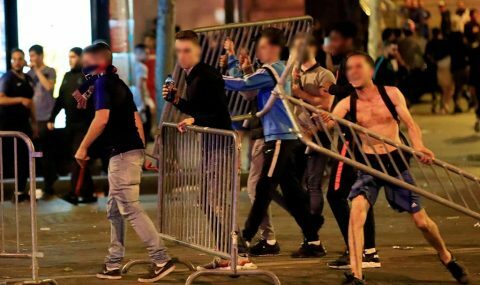 France fans celebrating their side’s 1–0 victory over Belgium clashed with riot police in Paris in the early hours of Wednesday morning. 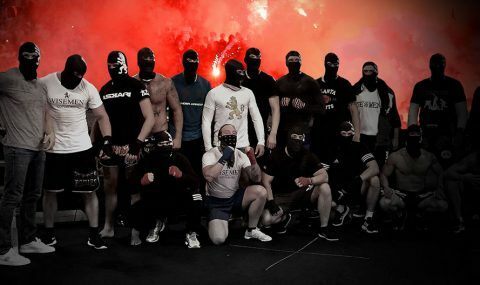 Partizan and Crvena Zvezda fans clashed in Belgrade's Zemun neighbourhood this morning before a match between their youth teams. 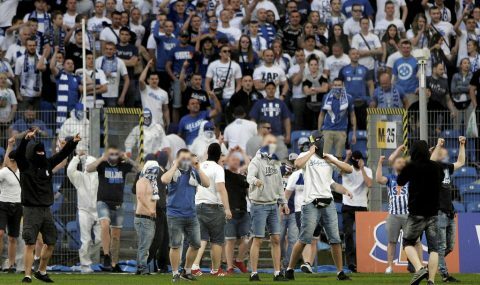 Legia's away game against Lech Poznan was abandoned on Sunday after Lech hooligans threw smoke bombs and invaded the pitch. 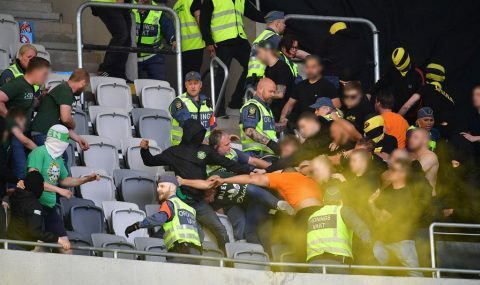 Hammarby and AIK fans confronted each other inside the Tele2 Arena after the final whistle of their Allsvenskan clash on Sunday. 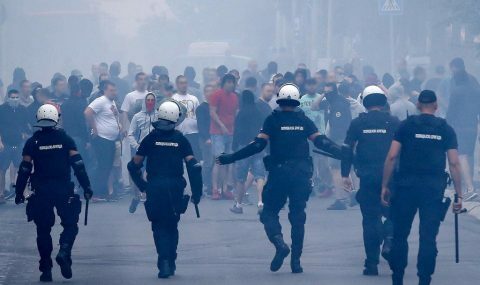 Marseille fans clashed with riot cops in the Old Port area of the southern French city after their team's defeat to Atletico Madrid in the Europa League final on Wednesday night. 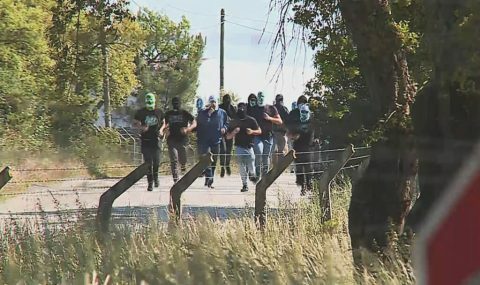 A mob of Sporting hooligans attacked players and staff members at the club’s training complex on Tuesday. 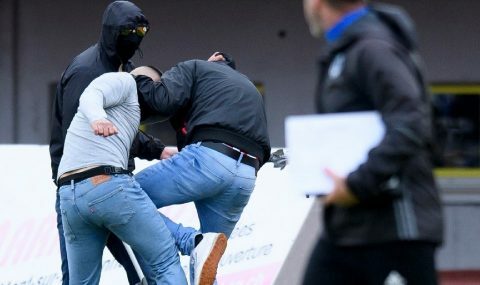 A group of Lausanne-Sport hooligans attacked rival Thun fans during their Super League clash on Sunday. 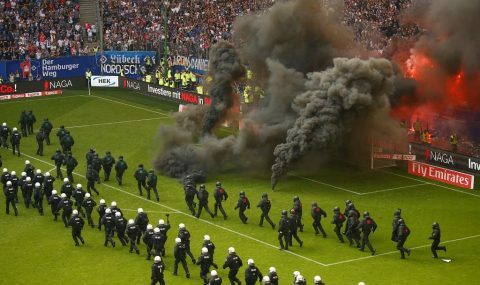 Hamburg fans delayed the end of their Bundesliga match against Gladbach on Saturday after learning their side will be relegated to the second tier. 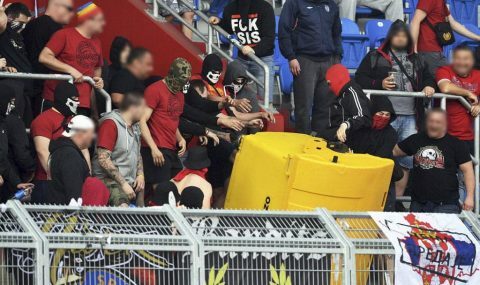 A Dinamo Bucuresti fan pinched a Hungarian flag from Sepsi supporters during their Liga 1 clash on Monday.